Writers, will you get published in 2018? 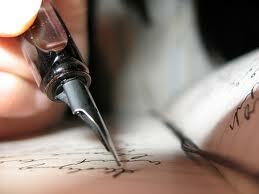 You just may with the help of our Writer's Workshop. Is 2018 YOUR Year to Get Published??? Get Out of the House, and Get the Creativity Flowing! When Susan Crawford had the chance to meet with an agent at an Atlanta Writers' Club Conference, she hit pay dirt. The brand new author tumbled headfirst into a book deal with William Morrow Publishing and became a "writer to watch" with the release of The Pocket Wife , a bestseller both nationally and internationally. Her second book , The Other Widow ( William Morrow ,) was also successful in the U.S. and abroad, and Crawford is hard at work on her next suspense novel. A writer’s dream? Yes, but her dream became reality, and so can yours! In January 20's Writer's Workshop , Susan will recommend tips for getting published in a competitive marketplace, focusing on how to bring your work to the next level, including in-class writing prompts to exercise your creative muscle. Whether you are just beginning your writing journey, or you’ve already written volumes, you will gain a clearer knowledge of what it will take to get ready, get going, and get published! Bring with you: pen and paper; a willingness to s-t-r-e-t-c-h creatively; questions about the writing or publishing process; and (perhaps most importantly) your sense of humor! After all, who said writing can't be fun?! If your goal is to get your work published, take advantage of this opportunity with an author who has done it. ***$75 at the door, but pay by Friday and get a $15 discount! Contact: Book Exchange, 2932 Canton Rd., Suite 220, Marietta, GA, 770/427-4848. 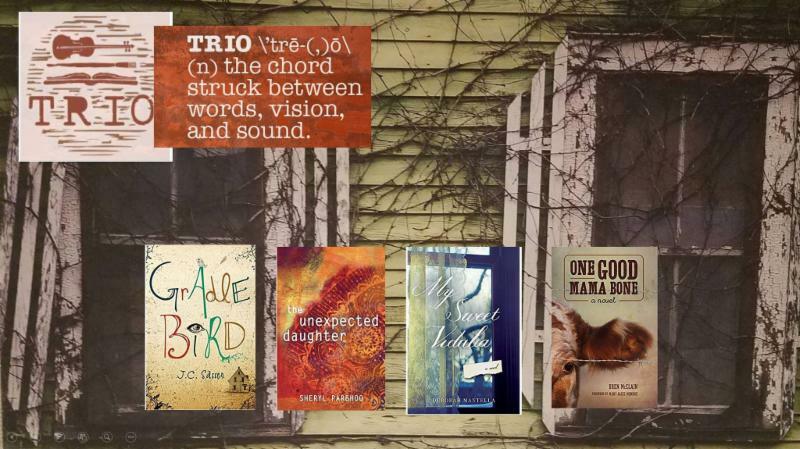 Help us pull out all the stops for ANOTHER cool TRIO PARTY at Book Exchange . Each year, a novel is paired with a singer/songwriter who writes and produces a song inspired by the novel and a visual artist who creates a work of art inspired by the novel. Trio: Get it???? As a follow up to the Trio party we had in the fall, we are honored to have an EXPANDED event with MORE great authors/artists/musicians! On Wednesday, January 24 at 6:30, we will hear from LOTS of fantastic authors: Daren Wang, THE HIDDEN LIGHT OF NORTHERN FIRES , Peter McDade, THE WEIGHT OF SOUND ; Donna Everhart, THE ROAD TO BITTERSWEET; Radney Foster, FOR YOU TO SEE THE STARS ; J.C. Sasser, GRADLE BIRD ; Sheryl Parbhoo, THE UNEXPECTED DAUGHTER ; Deborah Mantella, SWEET VIDALIA ; and Bren McClain, ONE GOOD MAMA BONE . There will be MUSIC , ART and of, course, FOOD to go along with these amazing authors and musicians. It’s truly an event you don’t want to miss as well as a great way to support literature, the arts AND your favorite independent bookstore, BOOK EXCHANGE . Also, it’s FREE , so bring a Trio of friends along to Book Exchange. Book Exchange, 2932 Canton Rd., Ste. 220, Marietta, GA, 770/427-4848.